It’s no secret that detailed mapping of Armenia needs to be vastly improved, for locals as well as for foreign visitors. 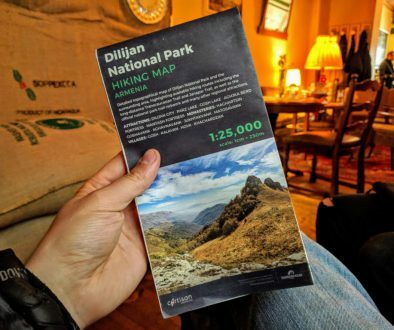 It’s why the Transcaucasian Trail is supporting a crowdfunding campaign to produce an all-new hiking map of Dilijan National Park. But collecting the data needed to map a whole country in such detail is a truly enormous task. How can efforts be scaled up from the current tiny handful of volunteers? And how can members of the public get involved? Alessandro Mambelli, co-founder of Cartisan and initiator of the “Maps for Hikers” campaign, thinks he has part of the answer: to train the next generation of Armenians in how (and why) to get involved in collaborative, grassroots map-making using OpenStreetMap. We spoke to him to find out more about how he plans to achieve this. Alessandro thought that TUMO’s state-of-the-art facilities and extracurricular workshop format would be the perfect means to deliver a brand new educational opportunity. TUMO agreed: donors who pledge USD $600 or more to Cartisan’s campaign may now choose a perk entitled ‘Help 10 students learn to map’. 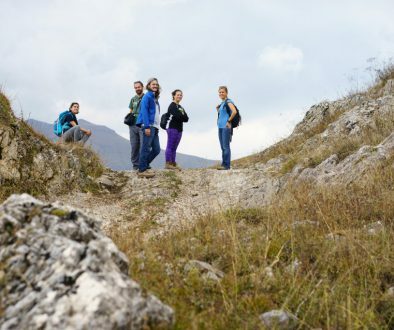 As well as helping bring the Dilijan National Park hiking map to life, each such pledge will also sponsor a specially-created mapping workshop in one of TUMO’s locations around Armenia. During each workshop, Alessandro and Cartisan co-founder Simon will teach a minumum of 10 young people from the local area how to use the freely accessible tools in TUMO’s computer labs, in combination with corresponding apps for the smartphones in their pockets, to help bring the maps of their local areas up to a high level of detail and accuracy. Indeed, the OpenStreetMap database is the foundation for almost every currently available smartphone app for hikers, cyclists and other outdoor enthusiasts. The list includes Maps.me, Viewranger, Komoot, Backcountry Navigator, OsmAnd, Strava, RidewithGPS, MapmyRide, MapmyRun, and even the HIKEArmenia app. Why aren’t these apps based on Google Maps or something similar? When Alessandro and Simon began their work, OpenStreetMap’s map of the region was not, of course, a completely blank page. 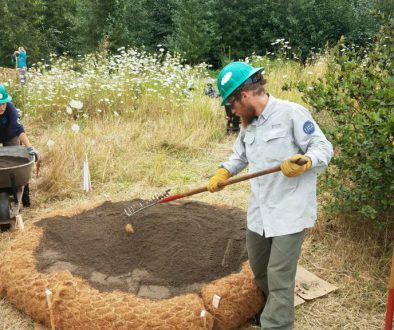 But they found the coverage to be highly inconsistent and unreliable in the areas of most interest to hikers and outdoors enthusiasts. Why? Because it was mostly contributors with no first-hand experience of the land who were filling in the gaps from satellite imagery, which itself was of varying quality. In spite of the advances in technology, it is only by ‘ground-truthing’ the data – going out with a GPS or smartphone app and verifying map features on the ground – that a map can truly be said to be reliable. With no government agencies producing civilian mapping of Armenia, it falls to the private sector to fill in the blanks. Improving OpenStreetMap coverage of Armenia will play a critical role – and the more people working on doing so, the better. The hope is that this initial workshop series – just like the map of Dilijan National Park – will only be the beginning. But what about the ‘alumni’ of these workshops? “We’ll do our best to keep them in the loop,” says Alessandro. “We’ll help them grow further, we’ll watch them become better than us – who knows? Maybe they’ll join our team, or maybe they’ll just keep it as a hobby. If they stay with it, the open-source mapping community will have won some capable mappers for Armenia. If not, at the very least we’ll have offered a positive experience and made a meaningful contribution to the mapping of that area. At the time of publishing, three out of a possible 10 workshop sponsorships had already been claimed, with just days remaining to reach the target of USD $12,900. For more information or to make a pledge, visit the campaign page on Indiegogo.